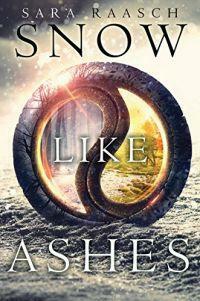 Snow Like Ashes is an endearing young adult fantasy novel that starts out slow but left be very satisfied with the plot and the story line. Meira has lived life as a refugee and orphan after her Kingdom of Winter was captured and her people enslaved when she was just a newborn. The few remaining free members of Winter hide out and work to gain back the magical power of the Winter kingdom. The early chapters of the book focus on Meira and the refugees but the book amps up the action as the other kingdoms become involved. The Kingdom of Spring under an evil king has enslaved thousands of Winterians but the political landscape of the kingdoms is changing due to new alliances mixed with deceit and unwarranted aggression. I give this book four out of five stars and recommend it for both young adult and fantasy readers. Those that like stories of young heroes or heroines like I do will find this book very enjoyable also.